A line of chalk traces its way up a grey, featureless slate slab. Its presence gives this otherwise blank, quarried wall some character. A climber makes some contorted moves upwards only to ping off the same sidestep left, cursing at the repetition of his failures. This is ‘The Meltdown’, touted as the hardest slab in the world and the climber is James Mchaffie, attempting the project for the umpteenth time this season. The spring weather has been poor: the damp Welsh climate has lived up to its reputation and cold, humid conditions have hampered and frustrated many attempts on the line. 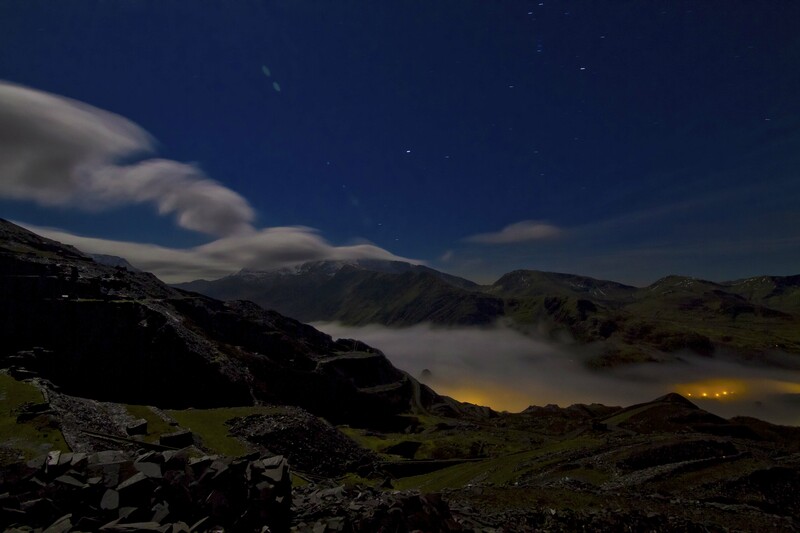 The route lies in the Dinorwic quarries, above the bustling little town of Llanberis. It is now over forty years since the final blast charge rang out over these quarries and this once swarming place of work can often be found empty and silent but for the low throb of the hydro electric plant. Twll Mawr, previously known to the quarrymen as Matilda, is a huge and atmospheric quarry hole that houses the biggest challenges on slate and ‘The Meltdown’ was, until very recently, the last great project. Having attempted the line occasionally for several years, Mchaffie finally made a concerted effort on the line in 2012. The summer weather couldn’t have been worse, but Mchaffie persevered to finally make the first ascent of one of the hardest and most unusual slab climbs in the world. 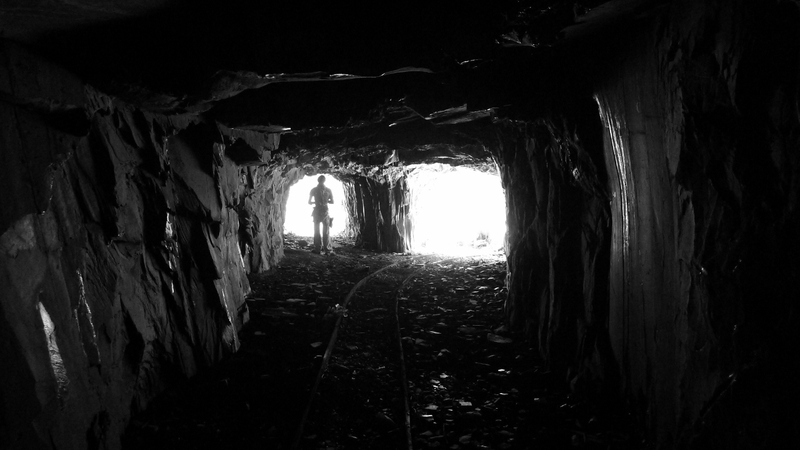 The Dinorwic quarries have been excavated, on and off, for 180 years. At its peak, in the late 19th century the quarries were producing 100,000 tonnes of slate per year and employing up to 1000 men to quarry, cut and transport slate. Working conditions and pay for the quarrymen were dyer and a bitter resentment grew between the Welsh quarrymen and the English quarry owners leading to regular strikes. By 1969, the un-systematic removal and dumping of waste led to unstable slag heaps making for difficult and unprofitable quarrying which lead to the eventual closure of the Dinorwic quarries. 362 quarrymen died in the quarries during this period and on grey, autumnal days the sombre atmosphere of this post-industrial landscape can leave climbers pondering more than just the delicate moves required to complete a route. 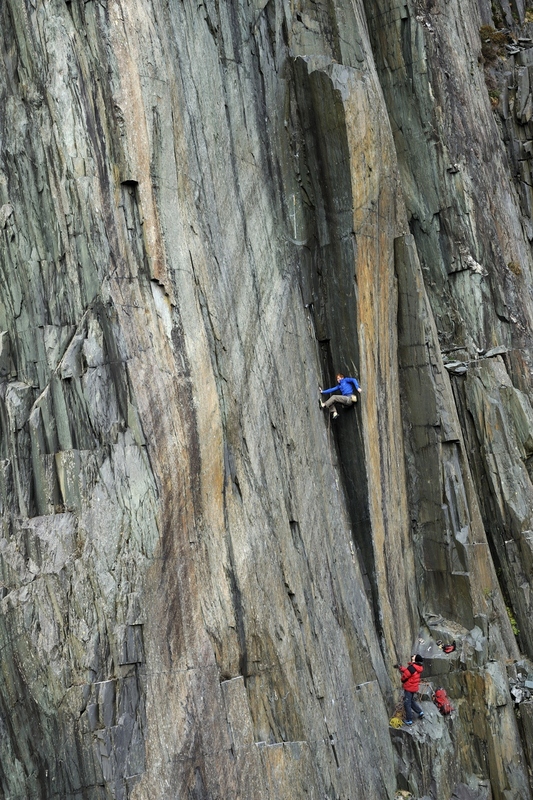 Later the same year, Davies teamed up with pioneering British rock climber Joe Brown to make their ‘Opening Gambit’ up what was, at the time, the biggest un-climbed rock face in Wales- the South Wall of Twll Mawr. This adventurous shuffle over loose blocks is a far cry from why the quarries became popular to climbers in the early 1980s, but should perhaps be remembered as the beginning of what would become a reincarnation for the slate quarries. The first forays on slate were looked upon with great cynicism by the climbing establishment. After all, slate is a fragile rock and the quarrying had made many areas of the quarries inherently unstable, a fact often noticeable during heavy downpours. 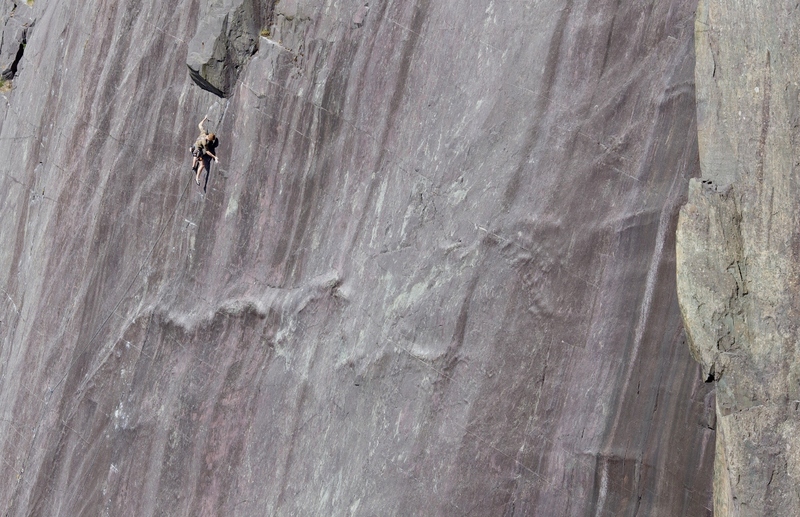 A decade after Davies and Brown’s first routes in the quarries, climbers began to venture onto the open sweeps of smooth slate slabs from which the quarries were to gain their reputation. 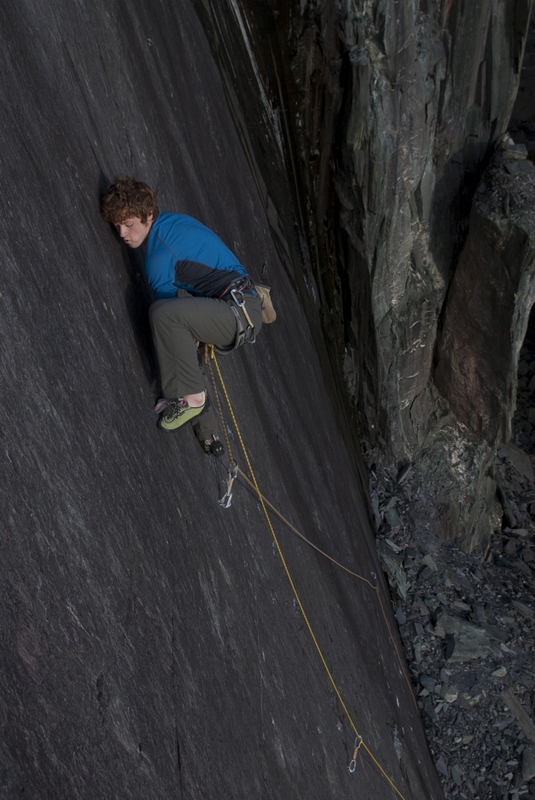 A new generation of climbers, spearheaded by the likes of John Redhead and Johnny Dawes, explored the possibilities of this new medium, developing the style and ethics of slate climbing as well as pushing the limits of what was possible. 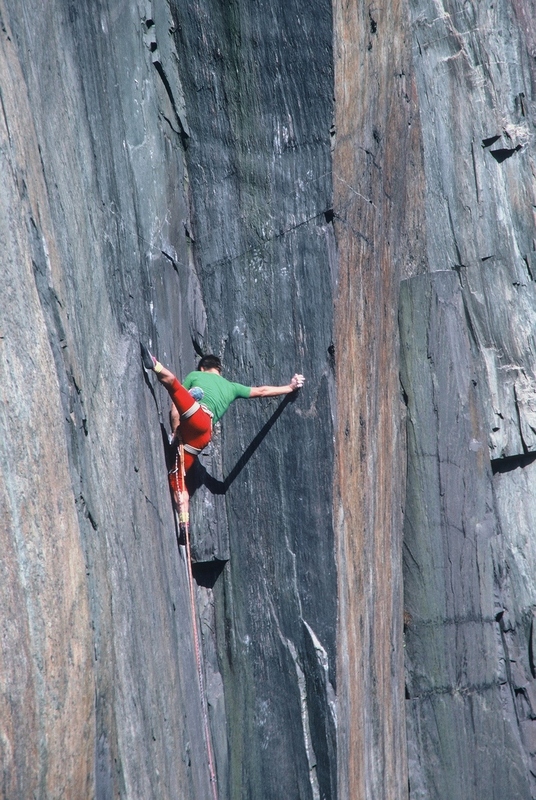 Redhead was the best climber operating in Wales in the early 1980’s and was naturally drawn, as much as an artist as a climber, to the blank canvases that the unclimbed walls and slabs offered to him. Described by Jim Perrin as ‘the Big Cat’, Redhead lapped up serious un-climbed projects in North Wales at a rate of knots. Redhead was the Rasputin like figure of British climbing: his un-tamed hair and frizzy beard matched his outspoken personality. Perrin went on to describe Redhead as “some sort of distant brother to our humanity, watchful, wolfish-visaged, beast-taut. If, one day, he sprang clean beyond our comprehension or just disappeared with a puff into the ether, I would not be astonished.” His routes were often epitomised by long run-outs between marginal protection such as ‘The Bells, the Bells’ at Gogarth and ‘Margins of the Mind’ on Clogwyn du’r Arddu- both contenders for first E7 and E8 in the UK respectively. 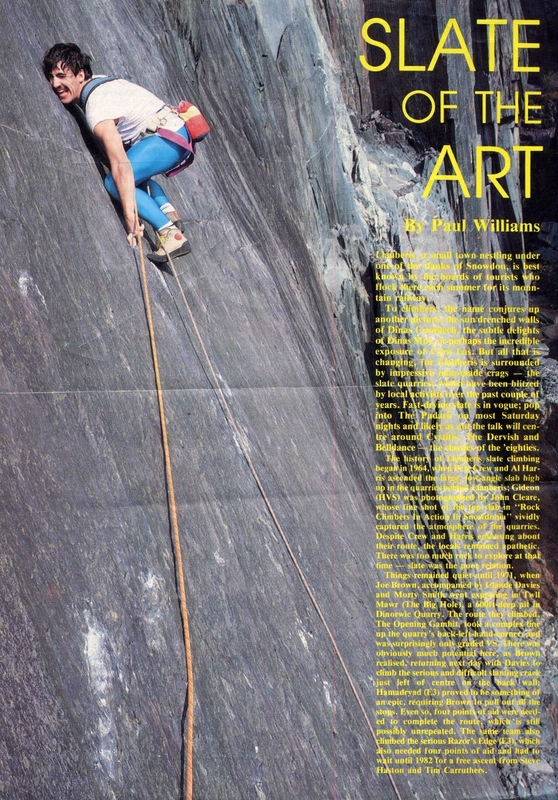 His talents as a well respected and thoroughly creative artist seemed to be closely entwined with his climbing; sometimes climbing was the inspiration for his art and other times the vice versa was true. Many of his routes were often named provocatively: Cockblock, Menopausal Discharge, Raped by Affection; but generally they were named with a twinkle in his eye as he enjoyed the uproar they created. So why does he enjoy trad climbing so much? Dawes and Redhead seemed to be vying for position on slate, repeating one another’s routes as soon as they were climbed. Although they would both dispute the fact now, there was a competitive animosity between the two of them which seemed to fuel them on to better and harder things. Both climbers would often ‘forget’ crucial gear placements when giving each other beta and afterwards they would complain, often hypocritically, about the style of ascent the other had made. “Twll Mawr was a revelation. A perfect angle; the blend of blank and featured spot on. Where there were holds they were angled and shaped for curious solutions to moves to emerge. There are comfy ledges to belay on, big wall exposure and views of the mountains. Despite the groove being the most famous pitch of ‘The Quarryman’, the first and final pitch certainly shouldn’t be underestimated. The first pitch is bolted in a way where the gap between each bolt progressively increases and a fall whilst clipping the first three bolts would undoubtedly leave you on the ground; the 7c+ climbing between the bolts is no joke either! The final pitch contains the actual crux moves of the route. Excruciatingly thin moves on little wafer holds leading you to a glorious jug and easy ground all the way to the top where you’re greeted with impressive views across the mountains of Snowdonia. The two routes adjacent to ‘The Quarryman’ are also Dawes creations. ‘The Firé Escape’ boasts the potential for the biggest fall in Wales: perhaps a 120 foot whipper from 7c climbing, whilst the unrepeated ‘Couer de Lion’ features extremely bold 8a+ climbing on the first pitch followed by two more extremely taxing pitches! Over the following few years, Dawes racked up an impressive tick list of new routes in the quarries, amongst which was ‘The Very Big and the Very Small’. At 8b+ this was one of the most difficult routes in the world when it was first climbed and was, until very recently, the most difficult slab climb in Britain. Titanium fingers and a high pain threshold for your toes are de rigueur for a successful ascent! For Dawes, this route was purely meant as a stepping stone for his long term project ‘The Meltdown’. In his autobiography Dawes describes the climbing: “The technicality of these highly positional unique cruxes is such that any limb’s contact can fail.” In 1986 Dawes made an impressive link on this project making it up to the crux traverse at the top before falling off. James Mchaffie recently remarked that this link in its own right was one of the most impressive pieces of climbing ever achieved at the time. Shortly after this link, Dawes broke a hold off the final traverse and soon after gave up on the project which was to wait quarter of a century before it was finally completed. Over the last fifty years the quarries have undergone massive changes from industrial workhorse to outdoor playground. 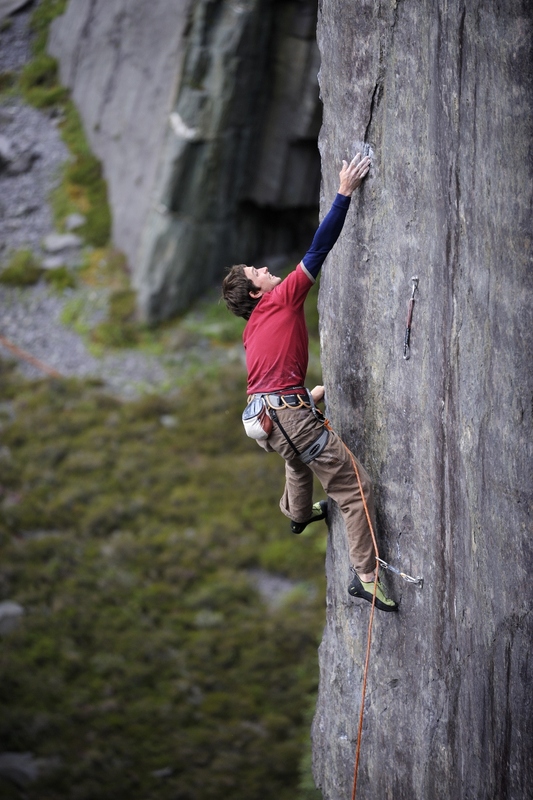 There has been a huge resurgence in the popularity of slate climbing with well over a hundred new routes drawing crowds of climbers to the quarries. 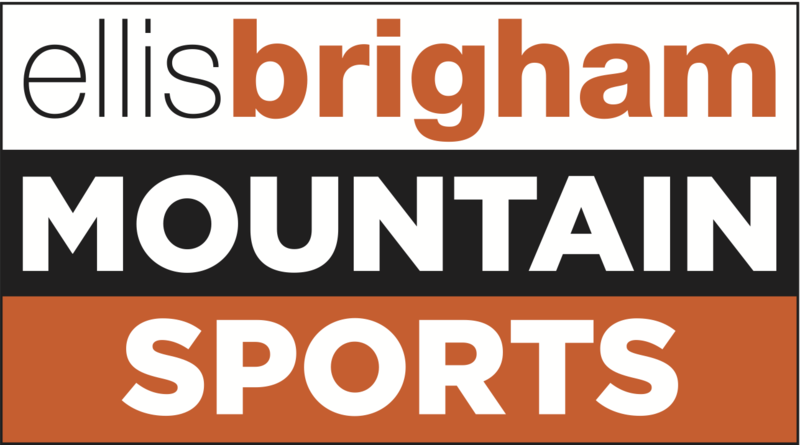 Most of the old classics have been re-bolted and many of the new routes are popular low grade sport climbs intended for all ages and abilities. It’s not just the climbers who get to enjoy the quarries either; they are popular with dog walkers, mountain bikers, scuba divers, runners, slack liners and paragliders all of whom enjoy the unique charm of this Daliesque landscape. The quarries are no longer a place of toil, or even a scar on the landscape, they are a part of North Wales’ culture enjoyed by the masses.